What do the occult sciences, séances with the souls of the dead, and appeals to saintly powers have to do with rationality? Since the late nineteenth century, modernizing intellectuals, religious leaders, and statesmen in Iran have attempted to curtail many such practices as "superstitious," instead encouraging the development of rational religious sensibilities and dispositions. However, far from diminishing the diverse methods through which Iranians engage with the immaterial realm, these rationalizing processes have multiplied the possibilities for metaphysical experimentation. 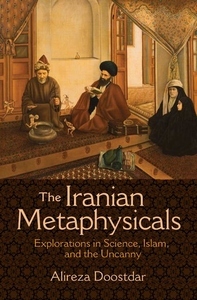 The Iranian Metaphysicals examines these experiments and their transformations over the past century. Drawing on years of ethnographic and archival research, Alireza Doostdar shows that metaphysical experimentation lies at the center of some of the most influential intellectual and religious movements in modern Iran. 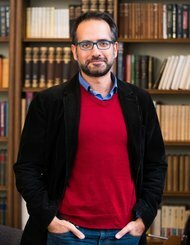 These forms of exploration have not only produced a plurality of rational orientations toward metaphysical phenomena but have also fundamentally shaped what is understood as orthodox Shi'i Islam, including the forms of Islamic rationality at the heart of projects for building and sustaining an Islamic Republic. Delving into frequently neglected aspects of Iranian spirituality, politics, and intellectual inquiry, The Iranian Metaphysicals challenges widely held assumptions about Islam, rationality, and the relationship between science and religion.